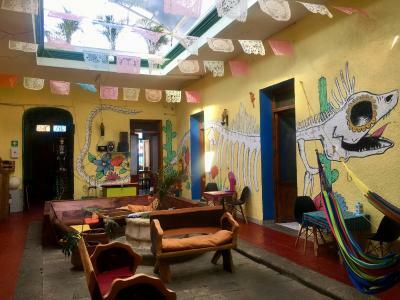 Lock in a great price for Iguana Hostel Oaxaca – rated 8.6 by recent guests! Great bed, great room. Awesome rooftop bar Very quiet and relaxed! 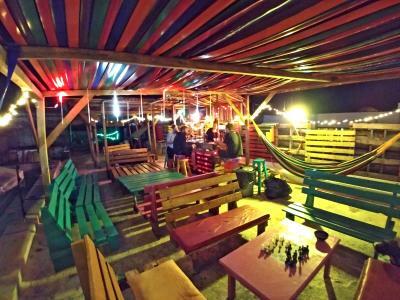 Great location and chilling on the rooftop bar at night is relaxing. Free breakfast is great and coffee is pretty decent. WiFi worked great and water pressure is good with space in the worn bathrooms to keep your stuff dry and change inside, everything flushed and no issues there. 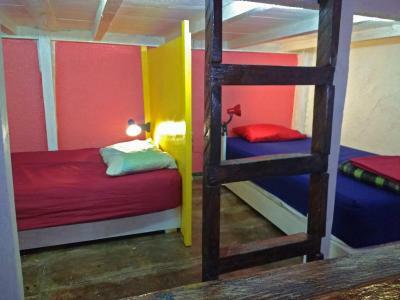 Each bed had a light, shelf and charging port with multiple outlets. Makes a good home bass for exploring Oaxaca. This place was perfect and the proximity to the beach was fantastic! 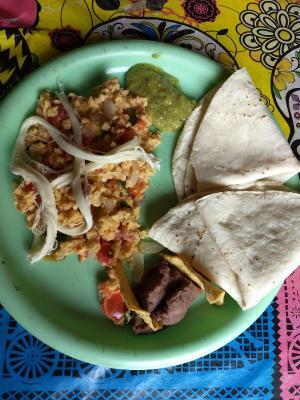 I loved the staff and the breakfast was perfect! I am coming back to stay here! 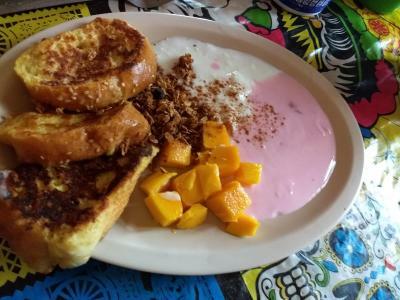 Great ambiance, very friendly staff, nice breakfast, perfect for a solo traveler! 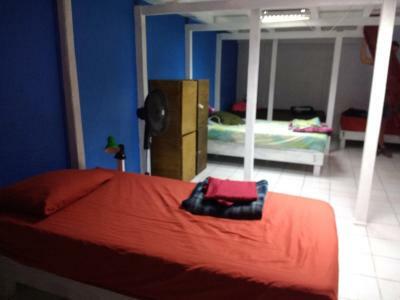 Very nice hostel especially the dorm is very special structure with much private space! 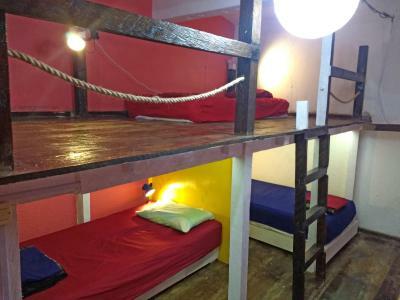 !come on this is 16 beds dormitory?! 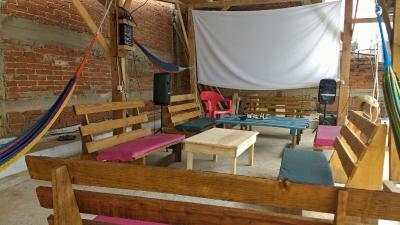 Yes but super nice at this point !I liked it A lot.There are very nice chillout area as well! Nothing to say just very good ! It was great. 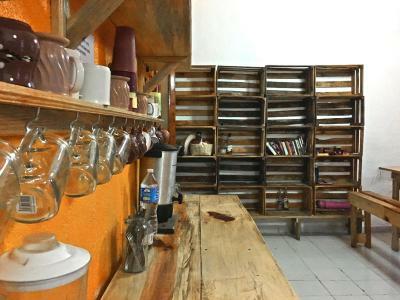 Interesting cubes for travelers, a sitting area for reading and conversation, and instant warm water. Location. Staff was helpful and friendly. Nice atmosphere. 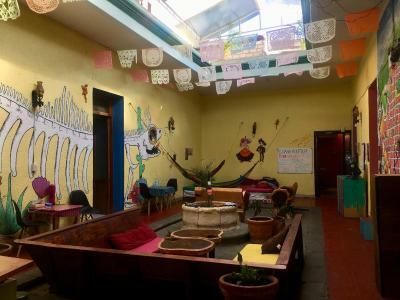 Located in Oaxaca City, Iguana Hostel Oaxaca is a 13-minute walk from Downtown Oaxaca de Juarez and has facilities like garden and terrace. 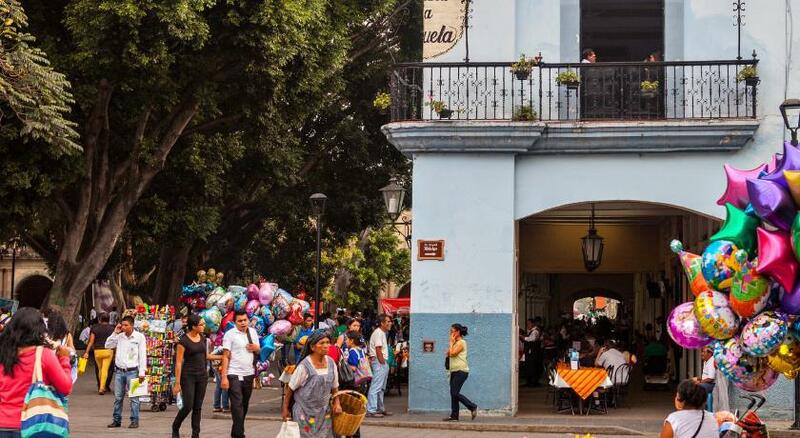 Popular points of interest nearby include Oaxaca Cathedral, Santo Domingo Temple and Food and Flea Market. 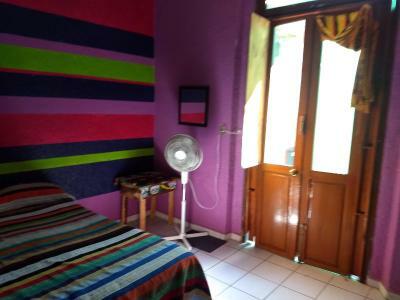 The property provides a 24-hour front desk, and luggage storage for guests. 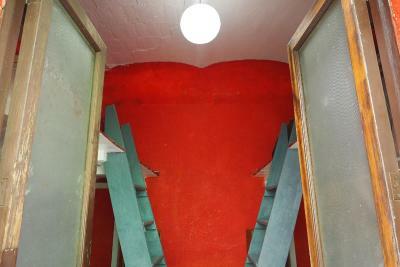 The rooms are equipped with a flat-screen TV with satellite channels, oven, a coffee machine, a shower and a desk. Free WiFi is accessible to all guests, while certain rooms have a patio. 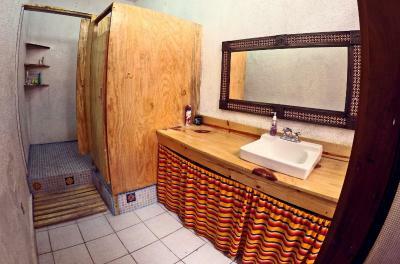 All guest rooms will provide guests with a shared bathroom. 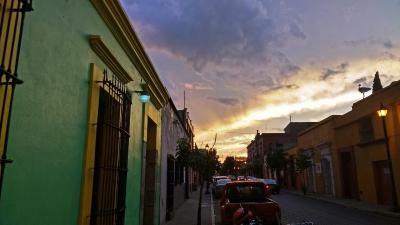 Monte Alban is 6 miles from the hostel, while Tule Tree is 6 miles away. 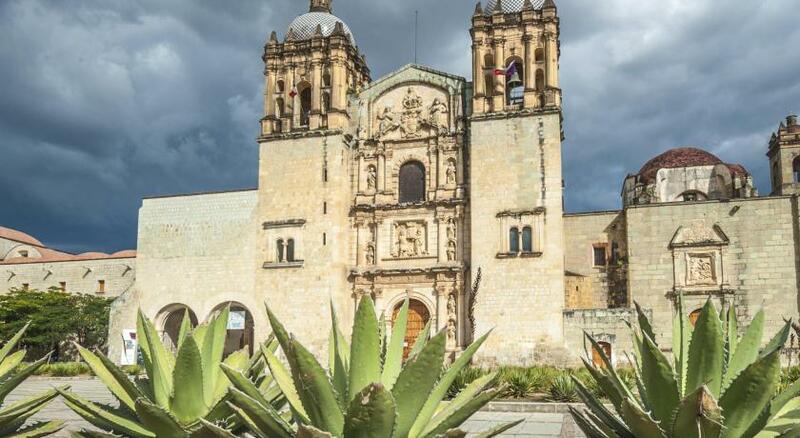 Oaxaca International Airport is 5 miles from the property. 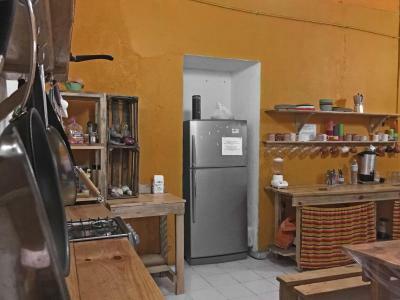 뀐 Located in the real heart of Oaxaca City, this property has an excellent location score of 9.4! 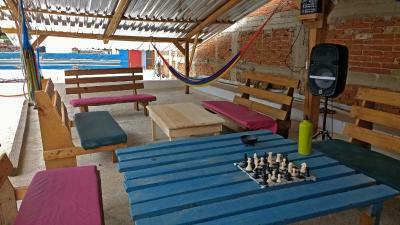 When would you like to stay at Iguana Hostel Oaxaca? 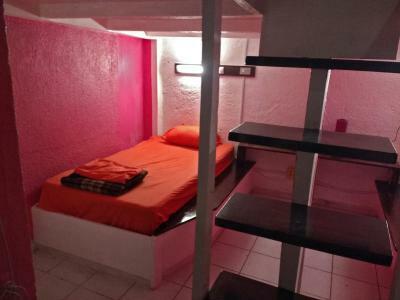 This dormitory room has a tile/marble floor, personal lights, USB and universal adapters, loft room, fans. Please note, that this room does not offer bunk beds. 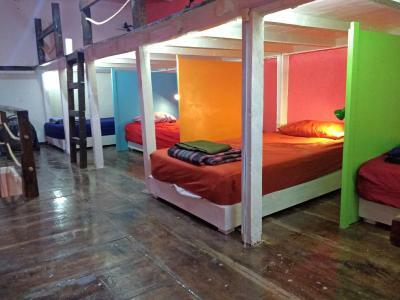 This dormitory has 8 beds shared with other guests. 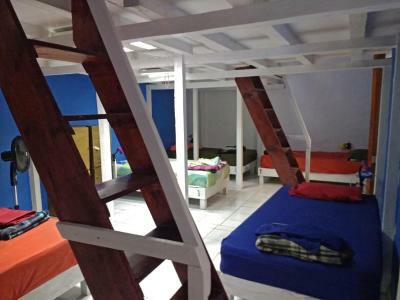 This dormitory room has personal lights, USB and universal adapters, loft room, fans. Please note, that this room does not offer bunk beds. 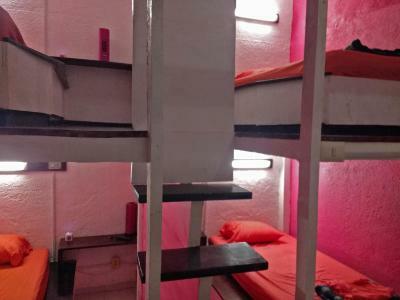 This dormitory has 12 beds shared with other guests. 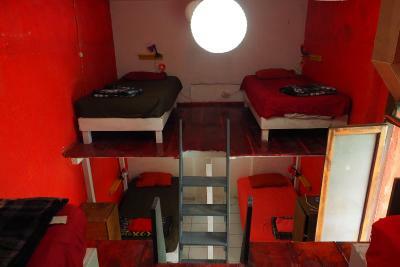 This cubical style dormitory room has personal lights, USB and universal adapters, loft room, fans. Please note, that this room does not offer bunk beds. 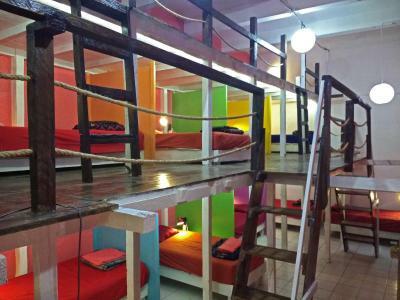 This dormitory has 16 beds shared with other guests. 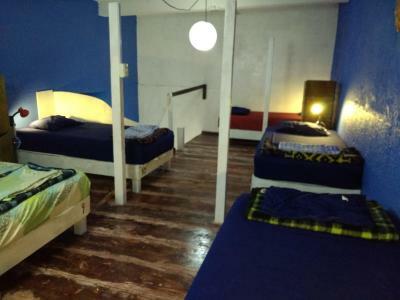 This dormitory room has personal lights, USB and multi adapters, loft room, fans. 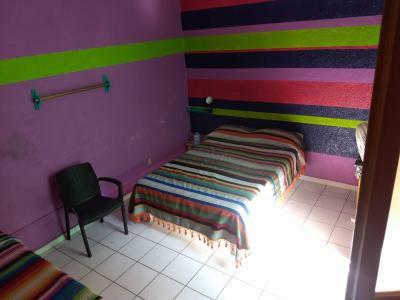 Please note, that this room does not offer bunk beds. 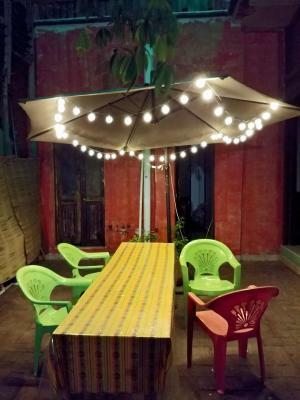 House Rules Iguana Hostel Oaxaca takes special requests – add in the next step! 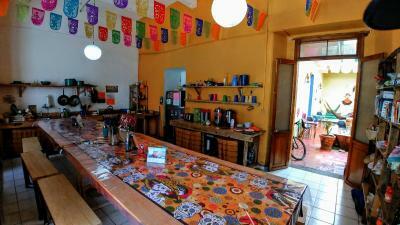 Iguana Hostel Oaxaca accepts these cards and reserves the right to temporarily hold an amount prior to arrival. 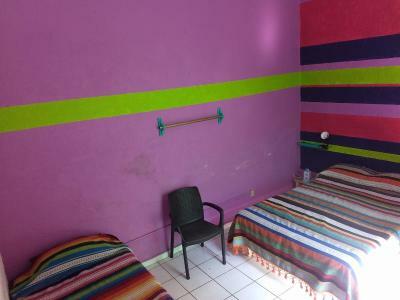 Please inform Iguana Hostel Oaxaca of your expected arrival time in advance. You can use the Special Requests box when booking, or contact the property directly using the contact details in your confirmation. Cleanliness in the bathroom wasn’t too good and the staff was really rude. Eets a great playce, no realli! I feel at home like a Swedish kitty Kat! Grathias, Eguana ! My mattress was uncomfortable ( it was like a slope because it was probably “worn out”)and because they are warped in a kinda plastic bag you sweat a lot. The cleanness was not really good.Even tough the Volunteers swipe the bathrooms every morning (but not cleaning it) But the cleaning lady comes only ones a week and that’s why the bathrooms are not as clean as they could be. Check-in experience could've been smoother. They couldn't retrieve my booking until later that day. Just a small inconvenience. 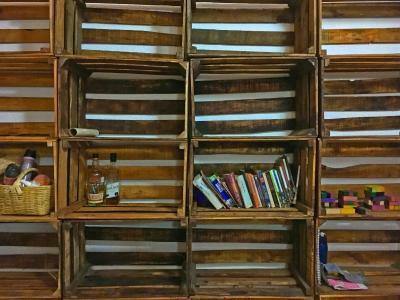 Everything in this place is makeshift:from the walls to beds and so. 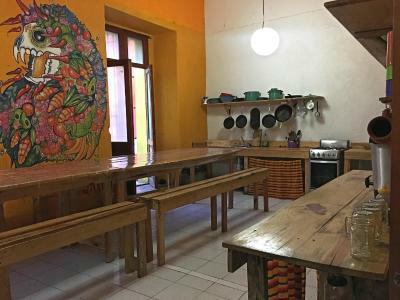 Not any staff but volunteers are running the hostel. It was dirty, even the towel i rent didnt feel fresh. 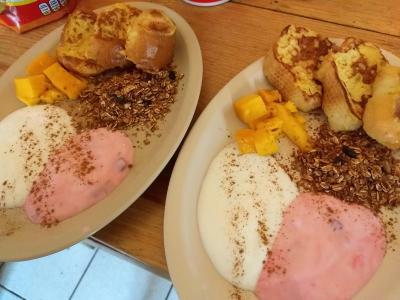 Free breakfast is so pure and runs only 9-10:30 besides hygiene rules in the kitchen are not in their best. The location is perfect. 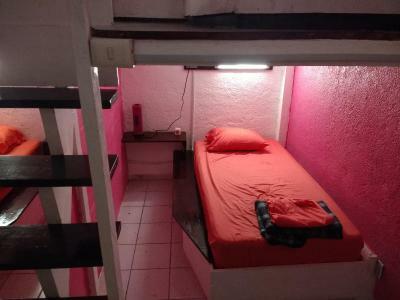 The beds are set in a way that feels private. Friendly atmosphere. The day i checked out they kept my things and i could use the shower and common areas until my night bus. In some places the lighting isn't great, hard to see inside the lockers, etc, but it's not a big deal. 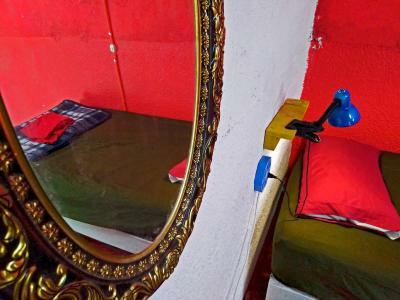 At first my bed was right by a busy door and the stairs, but they had no problems with me moving to a quieter bunk for the rest of my stay. 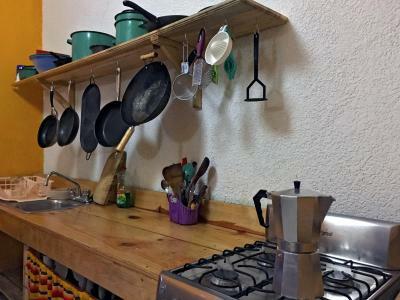 Iguana Hostel has the best kitchen setup, rooftop, bar, and social scene of any hostel I've stayed at. 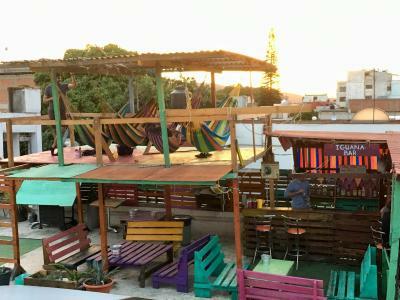 The amazing rooftop hammocks felt like a treehouse from childhood. 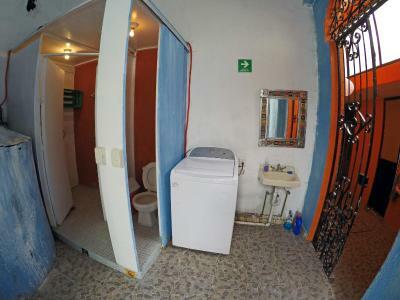 There were plenty of bathrooms. 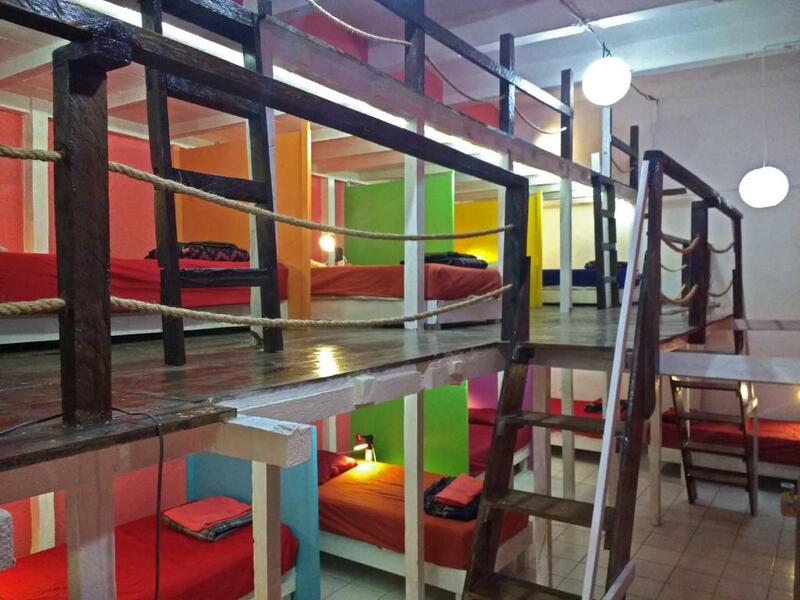 The hostel provided a ton of information about the city and surrounding area and it was easy to talk to other guests to find things to do. The staff was helpful, respectful, and reasonable. Lots of general good vibes here! Sometimes the shower/toilet could be cleaner. 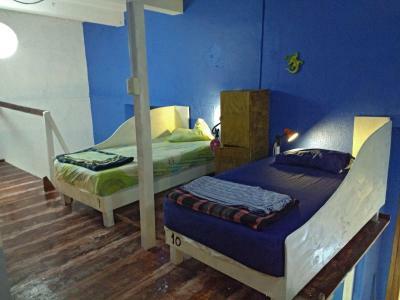 There was almost no ventilation in the room which had around 12 beds. It was considerably hot at night even in February although not unbearable. 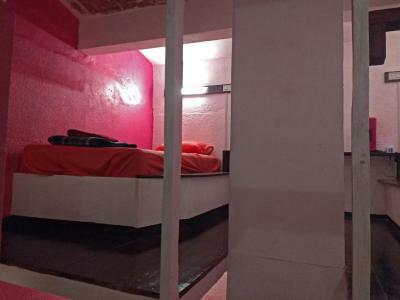 Beds are separated by a divider which gives you a sense privacy. The plugs next to the bed is a plus. 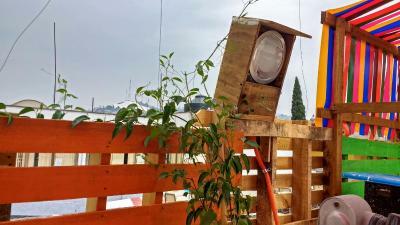 Rooftop bar is lively and cheap compared to most places in the area. Staff is friendly. Can’t speak for all of them, but my mattress was super old and crooked. Still slept comfortably enough after a couple beers :) The staff volunteers changed a lot in my 3 days and some seemed if not rude, disinterested? Also got some misinformation. People were nice enough, owner is awesome. Bathrooms were definitely cleaned, just old. Credit card machine has been down for a while to get cash. 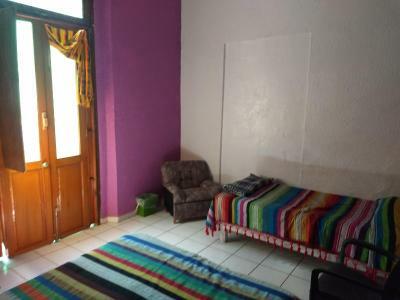 The whole place looked like a DIY project still in need of work. 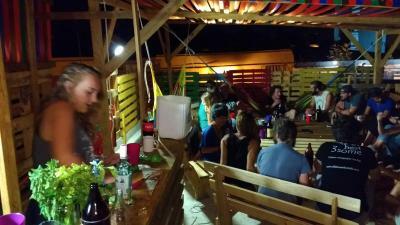 Colorful hippie commune decor. Staff and guests were great. 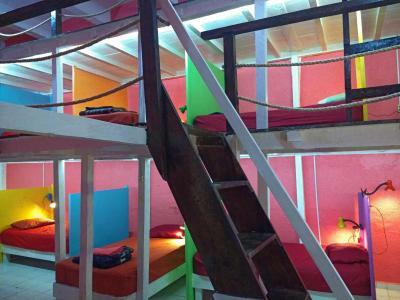 This has been my favourite hostel so far in Mexico. 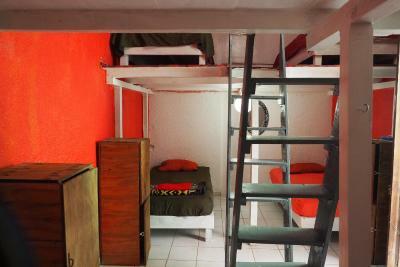 The dorms are set up in such a way that you feel like you have privacy. 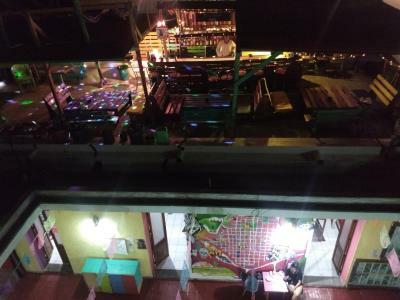 The roof top bar is really sociable (not a party bar), and the people that work there go out of their way to help you. Offering information on everything you need and giving you a little tour. Fab place.